I had not planned on going back to West Africa for quite some time. Grad school is intense. Barely any vacation time. And let’s not forget flights to West Africa (from the US) are never cheap. 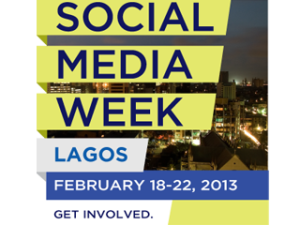 But I’m happy to say I’ll be a travel blogger and liaison for Social Media Week Lagos happening from February 17-21 2014. On this project I get to combine my three loves of travel, tech and Africa into one big ball of awesomeness. I really need to stop saying the word awesomeness. I start next week and will be updating the world on the must-see, must-do and must-have things to do in Nigeria on the Social Media Week Lagos website. And most importantly, I leave for Lagos February 14th. So, next Valentine’s Day, my heart will be in Lagos. We’ve missed you, fine, I’ve missed you. I haven’t been to Nigeria, but friends make some positive comments about the country. I believe you’ll enjoy the trip.